I'm working on a project where i need to control a 6 volt motor with an Arduino. The motor that I'm using requires 6 volts so I'm using a 9 volt with a voltage divider to get those 6 volts. My problem is that when I use the external power, the motor keeps spinning and ignores the input from the Arduino. If I use a 5 V battery and draw the 5 V from the Arduino, it works fine. I made sure that the voltage divider sends out 6 volts and the current code should have the motor not spinning. 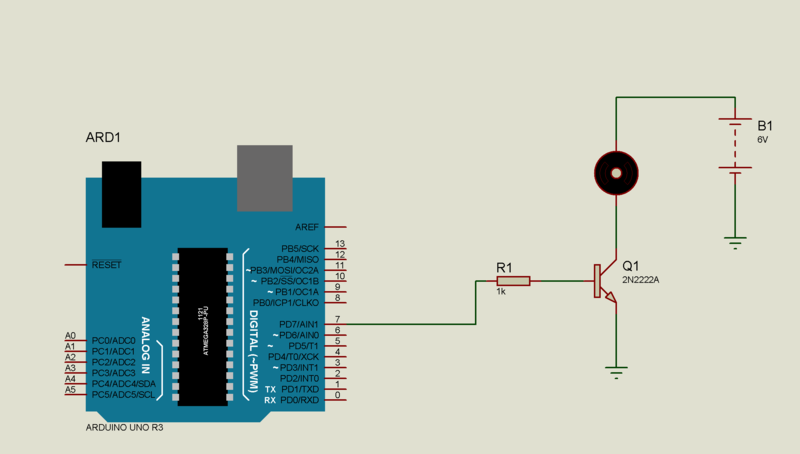 Here is the circuit: Motor Schematic. What could I do to make the motor take the input from the Arduino? Note: The schematic isn't like my actual circuit. In reality I have 6 V power supply instead of a 9 V and a voltage divider. I also am using a motor that requires 6 volts, while the one in the schematic requires 5 V.
Your schematic is bad - the motor is connected betveen base and power, emitor is connected to ground.That keeps the transistor open, and B-E voltage is like 0.7V, rest is for the motor to rotate. More over the transistor is open, so if you send pulses from pin 3, they are shortcuted to ground thru the transistor, not affecting the motor at all. Switch the wires to Base and to Colector (lines 48 and 49) and it should work better. In power application like motor driver you can not use voltage divider for step down the voltage because resistor drop the voltage when current flowing from the resistor increase. You can used voltage regulator or buck converter. The motor will work fine. Even you can use 9V battery and control the speed of dc motor using PWM. you use the following schematic both will work fine. The 2n2222 is the general purpose npn transistor which is used for power amplification. The arduino board can not provide large current at output pins to drive motors directly having a current rating more than 250mA. 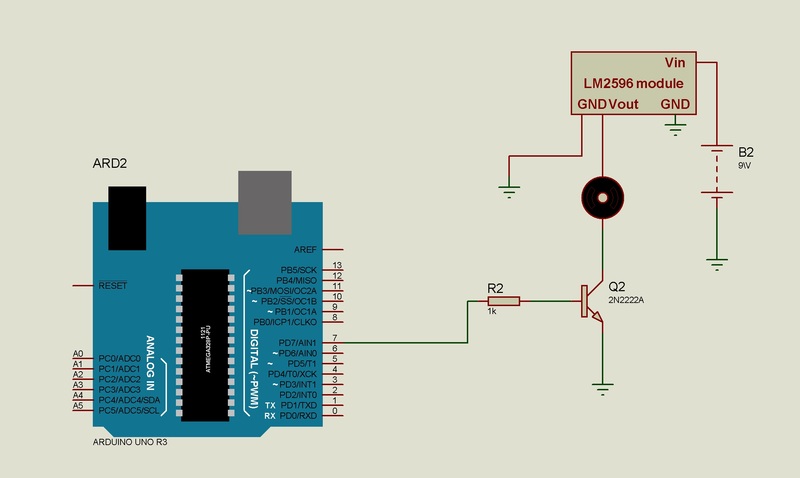 In above schematic the LM2596 buck converter is used which current rating is about 3A. and you can adjust the desired output voltage. The second option which shows in schematic is to use 6V battery. Not the answer you're looking for? Browse other questions tagged arduino-uno motor transistor voltage or ask your own question. Why does my dc motor immediately spin when connected to a 9v battery? Powering a 6-12V motor using a lead acid 6V battery with 6Amps of current? cheap long lasting options for battery?